When do children become adults? In Scotland the tradition has always been that children ‘come of age’ at 16. On that basis young lovers from the north of England would skip blissfully to the first town over the border (Gretna Green) and seal an undying affection there, a process which would have to wait two years longer in England. I mention this because iPRES will be 16 in 2019 and so in a sense will come of age in Amsterdam. 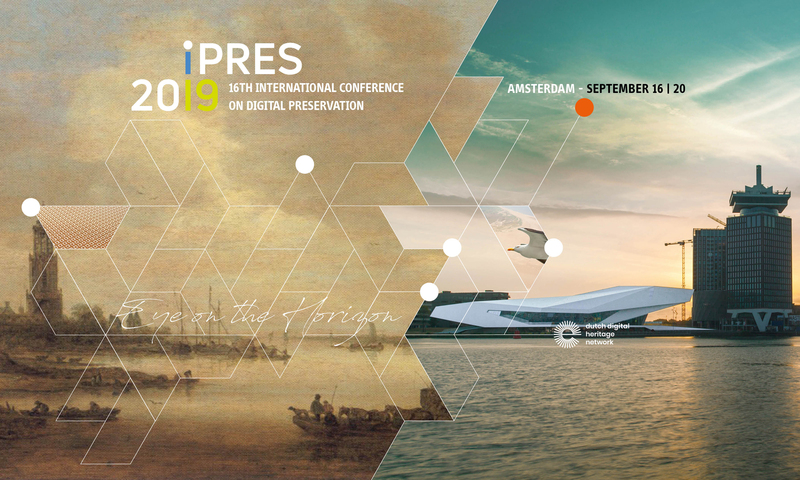 This also was the sense after a number of sessions at iPRES in Boston in 2018 which reviewed the successes of digital preservation over the last 15 years and debated the direction of travel for the next 15. The discussions were not restricted to the main hall: there was a palpable and welcome sense that the times were changing at iPRES2018 thanks to a number of new initiatives that encouraged lively and diverse participation. There was a long and impressive list of scholarships for iPRES first timers from around the world, a new Code of Conduct for participation in this diverse and dynamic community; and the first ‘Open House’ session with a forum for the community to debate what iPRES might be like. Little wonder that these discussions made their way to the iPRES Steering Committee which met on the fringes of the conference. I was invited for the first time this year. The Steering Committee is constituted from the organizers of previous and forthcoming conferences. (Did I mention that we’re hosting iPRES in Glasgow in 2022?) This means each year new host benefits from the experience of those who have gone before. But there is also a risk that what worked fifteen years ago might not be relevant today, let alone in 2022: because experience can inhibit innovation. For my part, the Glasgow committee will inherit everything that everyone has done up till now, and everything everyone will do in the years that follow. So, this is a question of some importance to me: what should iPRES be like, and how might it adapt to become like that? Digital preservation has changed tremendously since the first iPRES in 2004. A genuinely global community diverse in language, skills, profession, geography and sector. I don’t have access to the overall statistics for iPRES – it would make an interesting study – but my own organization started in 2003 with around 17 members in 3 countries and now has almost 90 members in 10 countries. The growth is welcome, but it means we – both DPC and iPRES – need to be good at renewing the community infrastructure around digital preservation much as we know we need to renew the technical infrastructure through which digital preservation is delivered. And that’s the question the steering committee asked itself: how does iPRES need to evolve? The work has been delegated to a small working group, charged with reviewing the iPRES Charter which was initially adopted in 2010. Our aim is to share the current version of the charter for community review and comment; to develop and share a brief survey to gather additional information; and coordinate with interested individuals or groups to ensure that issues and concerns are heard and included in the review. We started with four Working Group members: Nancy McGovern (MIT, Co-Chair and organiser of the 2018 Conference), Seamus Ross (University of Toronto, Co-Chair and organiser in 2012), Helen Tibbo (University of North Carolina and organiser in 2015) and myself, William Kilbride (DPC and organiser for 2022). We have invited two more members to join us, so that we can balance the number of members against the diversity of the community. But everyone who expresses interest in the Working Group will also be added to an email list that we’ve created for the purpose of the review, the iPRES Interest Group. This wider Interest Group will provide another channel for feedback and will start an ongoing community discussion about future pathways. Joining information for the iPRES Interest Group will be shared once the communications channel(s) for the group have been established. iPRES is coming of age. Boston in 2018 showed the benefits that accrue from innovation in our lively and diverse community. Amsterdam 2019 will be a significant programme in its own right: and let me encourage you to participate, send proposals, and get engaged. But I feel sure It will mark a significant milestone in the development of the community. Next PostNext The Great iPRES 2019 Digital Preservation Bake-Off is looking for YOUR favorite ingredients and recipes!